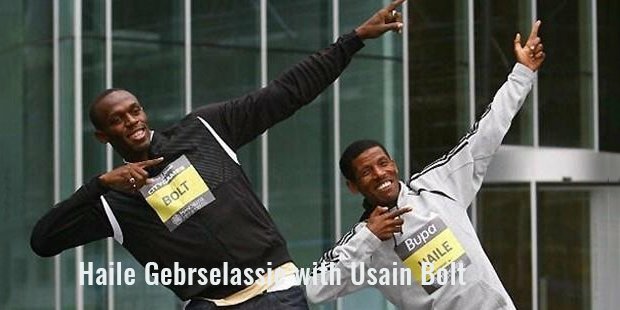 Haile Gebrselassie is an Ethiopian athlete who is considered by many as the greatest long-distance runners of all time. He has to his credit two Gold Olympic medals at the 10,000m distance. He has won the Berlin Marathon for a record four times and that too consecutively. He has won the Dubai Marathon thrice and also the 2001 Half Marathon. 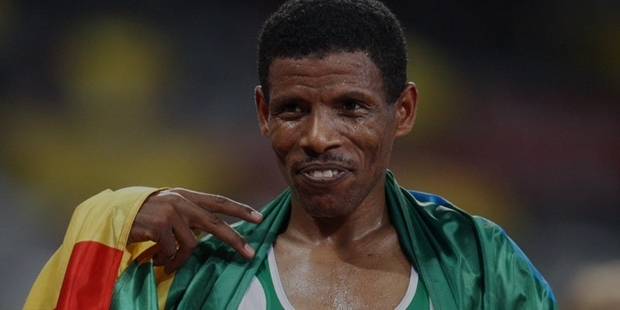 He has broken 61 Ethiopian records in the course of his career in distances from the 800m to the marathon. He has also set 27 World Records, ranging from the 1500m to the marathon. 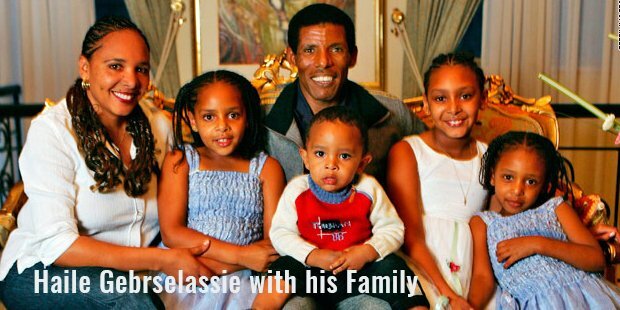 Hailed Gebrselassie was born on April 18, 1973 at Arsi Province, Ethiopia. He had nine siblings and their family lived in financially poor conditions. Haile did not have any interest in running, but it came as a result of his running 10 kms to school every morning and the same distance back in the evening. He was so fast that his friends weren’t able to catch him at all. Soon his talent was spotted and he was asked to try for the Ethiopian national athletics team. Without any training itself, this boy from the hills was able to run faster than many of his trained teammates. At the age of 19, he won both the 5,000m and the 10,000m at the 1992 World Junior Championships. But this was only the beginning of his illustrious career. In 1993 he went on to win the 10,000 at the World Championships itself. He was able to defend his 10,000 title for the next three World Championships in 1995, 1997 and 1999. By the end of 1994, he had set his first World Record, that too in the 5,000m with a time of 12:56.96. In 1995, Haile set his first World Record in the 10,000m with a time of 26:43.53, lowering the previous record by an astonishing 9 seconds. Within two months, he broke his 5,000m World Record, this time lowering it by 10.91 seconds. Haile had soon become one of the most recognizable athletes in the world with such mind blowing performances that none of his competitors could even come close to. In the 1996 Atlanta Olympics, he easily won the Gold in the 10,000m which he defended successfully at the 2000 Sydney Olympics as well. With his performances, he had made Ethiopia, one of the running superpowers in the world of Athletics. In the year 1998, he broke the World Records for the 2,000m and the 3,000m. In 1999 and 2000, Haile was not defeated in even a single race. Haile could not train properly for the 2004 Olympics because of an injury, because of which he was unable to win the 10,000m Gold for a third consecutive time. He retired from the track and turned his focus on road races and marathons. He was very successful in this as well as he went on to set new records and win marathons around the world in places like Fukuoka, Berlin, Dubai and Amsterdam. He has been successful in every distance that he has run in. Without a doubt, he has been the one of the most versatile and successful athletes in the history of athletics.